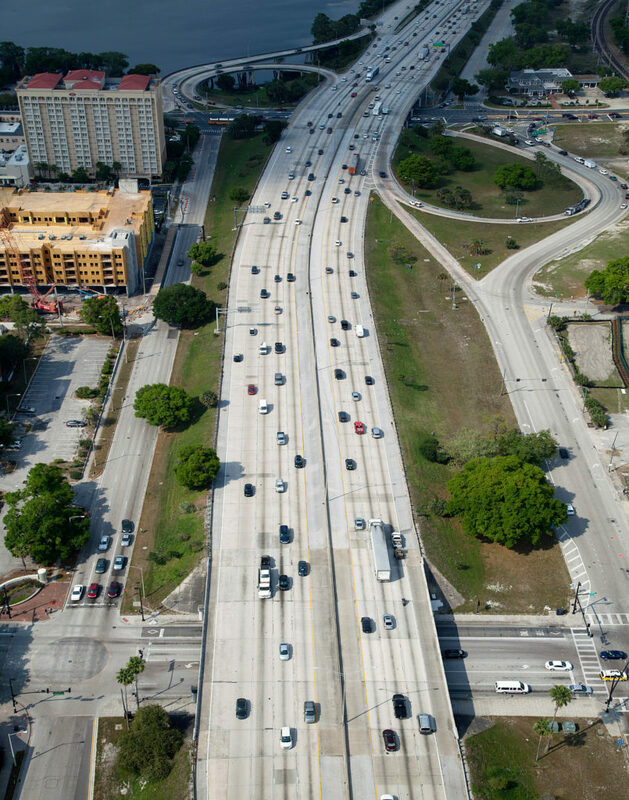 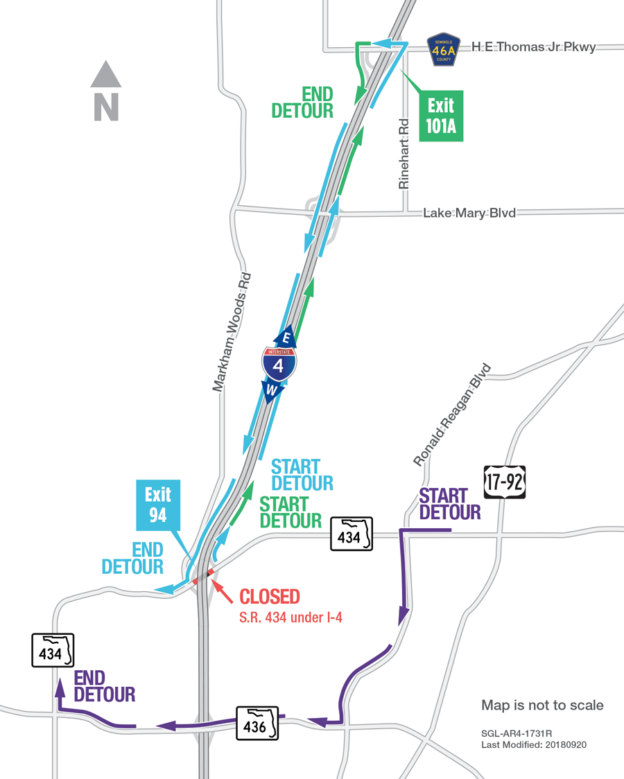 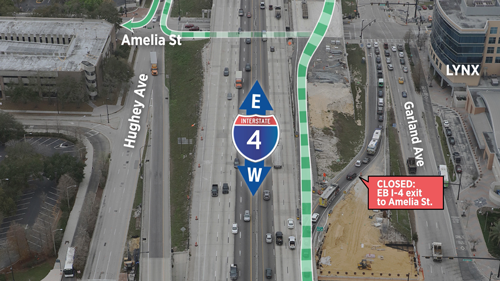 The eastbound Interstate 4 (I-4) exit to Amelia Street (Exit 83A) is shifting to a temporary configuration as soon as the morning of April 3, and will be in place for about 18 months. 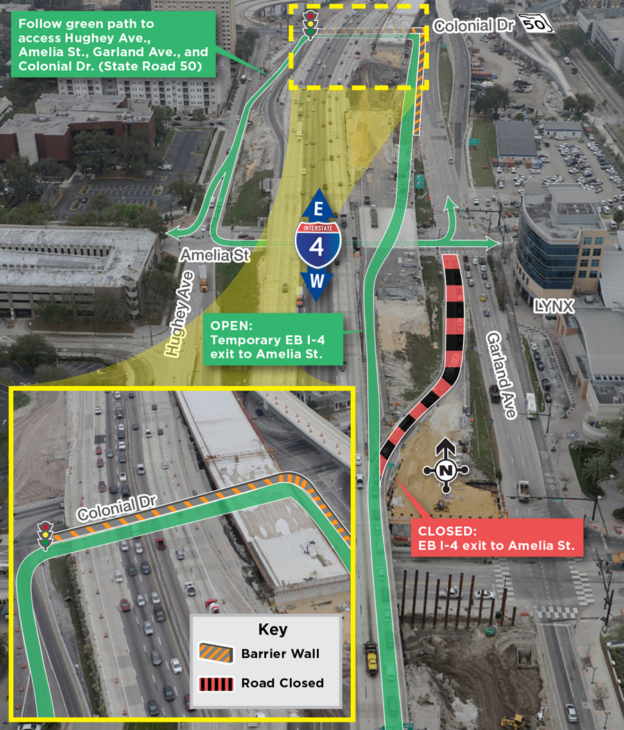 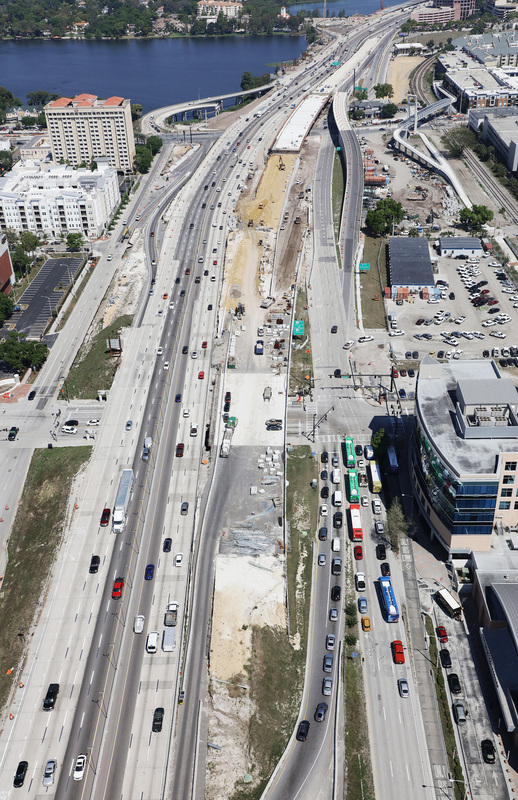 The exit point from I-4 to the new temporary ramp is just past Amelia Street and will place motorists on a separate travel lane partitioned from Garland Avenue by a barrier wall. 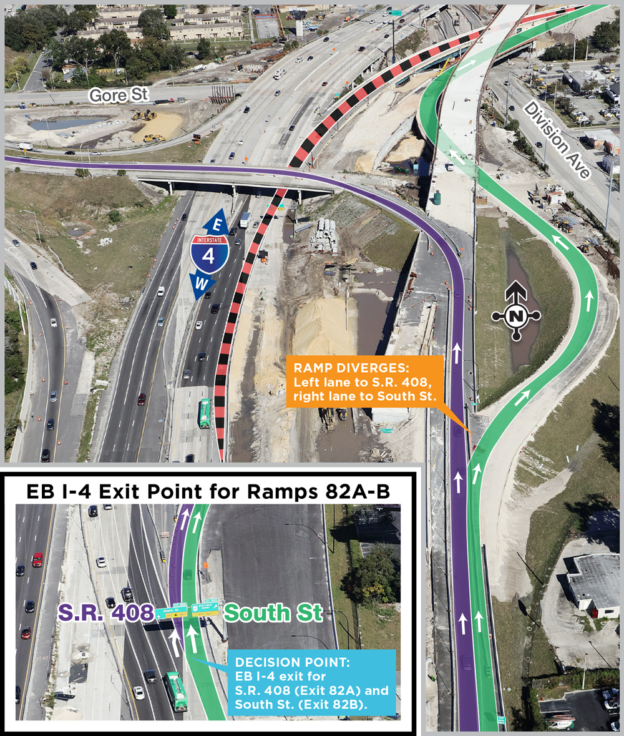 The temporary configuration of the ramp will require motorists to use a U-turn lane partitioned from Colonial Drive (State Road 50) by a barrier wall to access southbound Hughey Avenue. 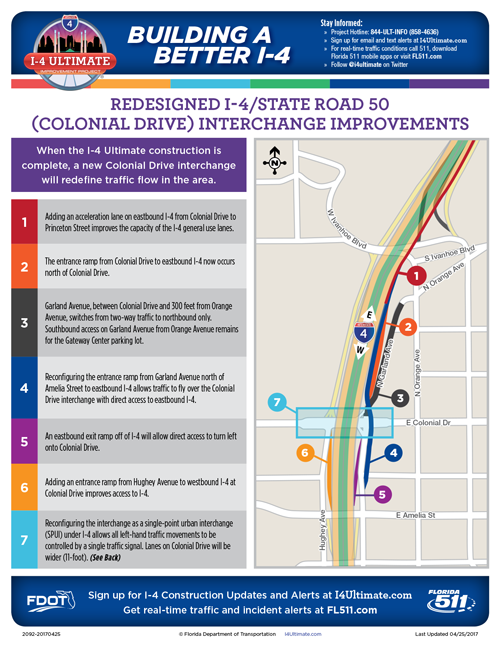 The new configuration may require some motorists to alter their route to nearby areas. 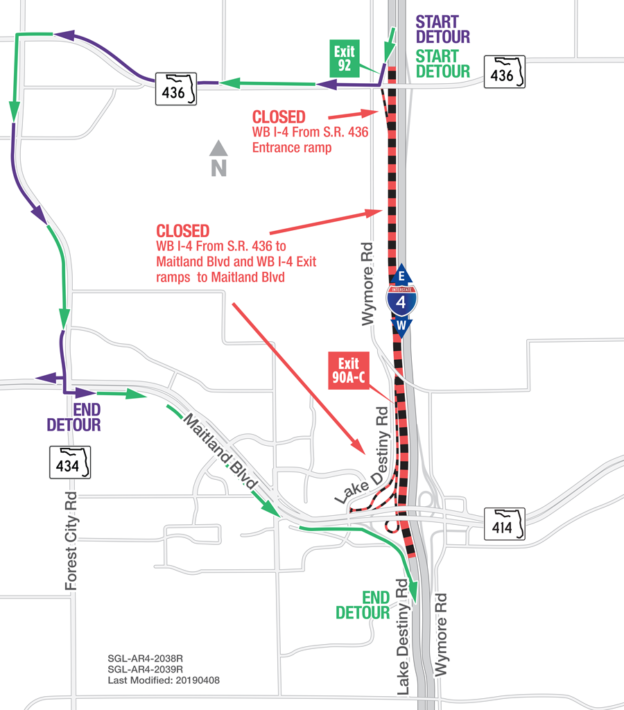 Motorists seeking to access other nearby areas may follow a new route. 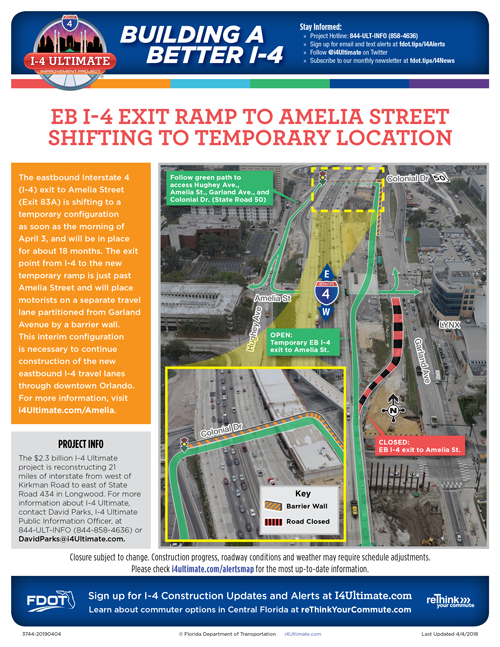 Via @I4Ultimate: As soon as early April, the eastbound I-4 exit ramp to Amelia St. (Exit 83A) is shifting to a temporary configuration. 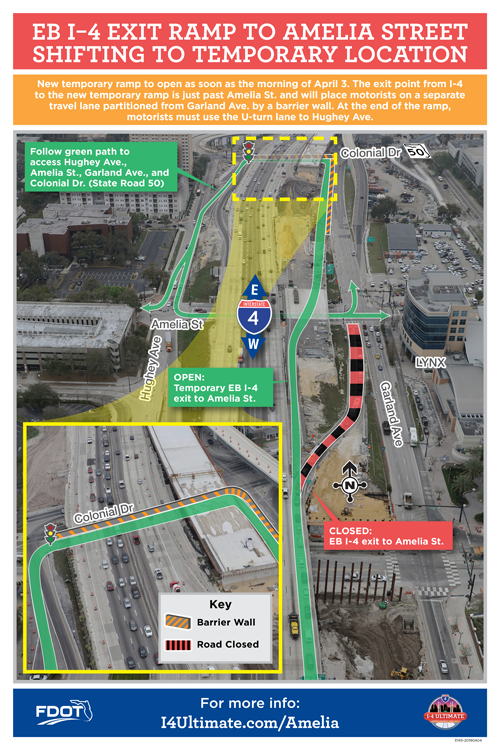 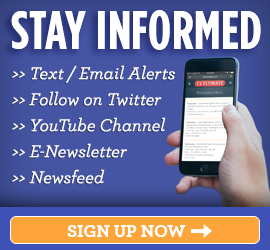 Please visit i4ultimate.com/Amelia for more information.